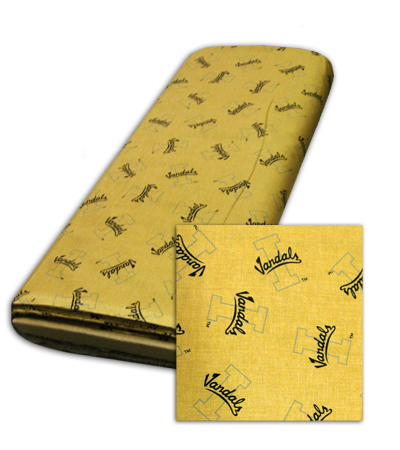 100% cotton fabric in gold with the I Vandals logo all-over pattern. Available by the yard. Width is 43-45 inches.